There are those who say you haven’t travelled in Central America until you’ve travelled by chicken bus. And whilst it does sound a little bit travel snobbish, I am inclined to agree. 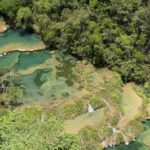 It is certainly one of those quintessential Central American experiences that, one way or another, doesn’t let you forget you’re travelling in an incredibly vibrant part of the world by a unique form of transport. Chicken bus is the name given to recycled yellow school buses from Canada and the USA that are used as public transport in much of Central America. The only one of the seven countries in the region that we didn’t see them was Costa Rica where they have presumably been replaced long ago by more modern vehicles. The nickname chicken bus is said to have been adopted because you guessed it, they sometimes carry chickens as well as people. I don’t know if the number of chickens travelling by chicken bus has decreased over the years but these days it is the exception rather than the rule to see a lot of chickens. The buses aren’t exactly crammed with chickens, goats and other livestock, but you do still see them. Or hear them. On more than one occasion we weren’t aware of any feathered travelling companions until we heard a little squawk, and upon looking around and up, we would see a bag on the luggage rack moving all by itself. Other times the bird will sit on its owners’ lap in a shopping basket with its head poking out. There is clearly no age restriction for avian travellers because we also saw young chicks being transported in either a small cardboard box or a plastic bucket. As already mentioned, chicken buses are retired American or Canadian school buses that after travelling either 150,000 miles or upon reaching ten years of age, are sold off at auction. They are then driven through Mexico to Central America where they get a new lease of life. Guatemalan chicken buses are the most famous where they are transformed from their original state: a plain yellow vehicle with the words ‘School Bus’ on the side to colourful works of art – brightly painted camions, often with words praising God and asking for his protection (a little prayer on a high-speed bus doesn’t go amiss!) and with metal work polished to a mirrored finish. We first experienced chicken buses in Panama where they were usually in their native yellow livery. This was a bit confusing at first; thinking we couldn’t get on a bus because School Bus was written on the side! 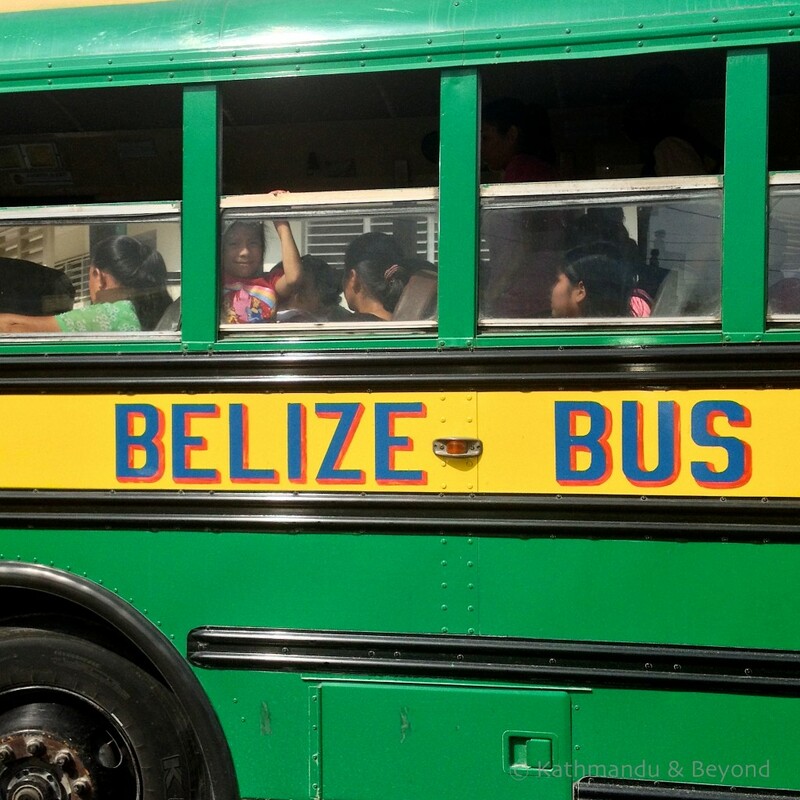 One thing we noticed, as we travelled in Panama and then through Nicaragua, El Salvador, Honduras, Belize and on to Guatemala, all by chicken bus, was that not only did the buses get more colourful and decorative, they also got more crowded. 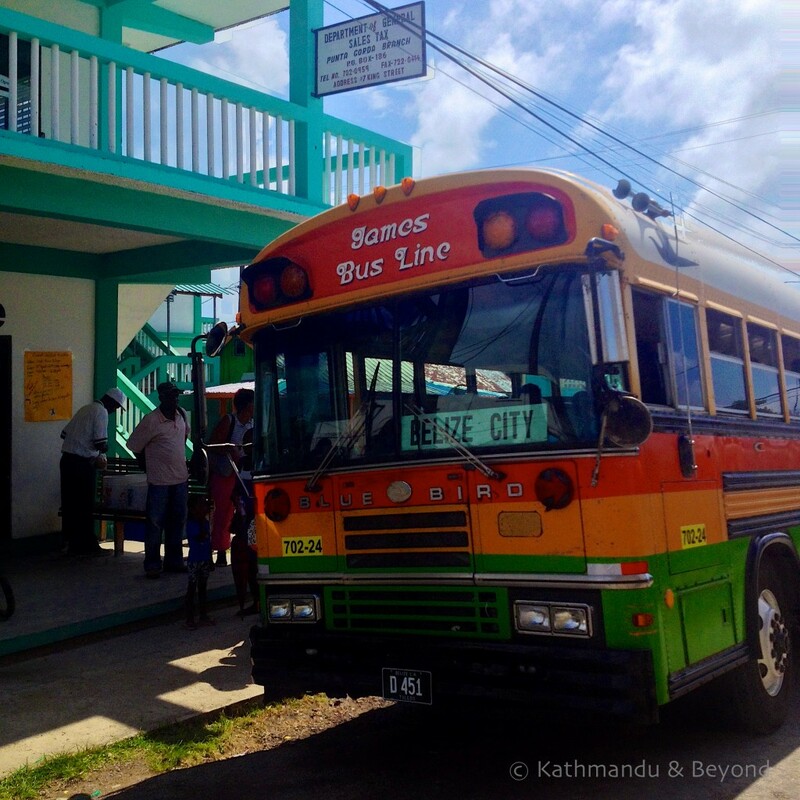 The exception was Belize where they were more modestly painted and less crowded than in their neighbouring countries. The seating on a chicken bus is forward-facing padded benches. Configurations vary but a common arrangement was three on one side of the aisle and two on the other. One observation we made early on in our chicken bus journeys is that the seats on these old school buses are meant for school children. Even so, three adults were required to squeeze onto a seat designed for three children! There was always a bit of body overhang from the seats on either side and often, instead of standing, another passenger would somehow sit in the space in the aisle, wedged in place by the bottom of the passenger occupying half a seat either side of them. This is not a comfortable option. The aisle seat was usually the short straw – inevitably it meant one bum cheek on the seat and one off it. On mountain roads not sliding off altogether was a challenge and often it was only other passengers wedging you in place that prevented it. In addition to the driver, there are one or two helpers or ‘ayudantes’. The ayudantes are responsible for getting passengers on and off the bus, organising any luggage or produce that is being carried as well as squeezing up and down the packed aisle to collect fares. They will often climb onto the roof of a moving bus to secure any cargo that has been stowed there. Getting off when we needed to was the final chicken bus challenge. Not only did we have the issue that we didn’t know what our stop looked like or where it was, our limited Spanish didn’t always mean our request to be informed of our stop was honoured or understood. On top of that, squeezing our way past, or over, a mass of people in order to reach the door before the bus either sped off or the next crowd of people scrummaged to get on was, quite frankly, exhausting. On one occasion Mark jumped off a slow-moving bus which then sped up, leaving me on board. I couldn’t get the ayudante to stop the bus immediately but luckily it did a couple of hundred metres further down the road! Thinking about it, maybe they are called chicken buses because travelling by one gives you the opportunity to experience life as a battery hen? There are two aspects of safety here. The first is from a road safety point of view. I don’t know the statistics and I choose not to look them up. If we did that for every place we went to and every journey we took we’d probably end up staying home. But with breakneck speeds, blind overtaking on hairpin bends, no seat belts and buses packed with people like tins of sardines … Let’s quickly move on! Ironically the majority of travellers are more concerned about the safety of their possessions than their personal safety. And it’s true there is a high risk of having stuff stolen on a chicken bus. We’ve heard lots of stories of slashed bags, bags being opened and things lifted from them or even entire bags disappearing from rooftops. But there’s a simple solution – keep a close eye on your possessions at all times. And use a bag that locks. We always put our backpacks on the luggage rack above the seat and if the rack isn’t slatted, the rack opposite so we can see them from our seat. Supposedly it is possible to pay for an extra seat to put your luggage on, but I can’t see it being that easy. I would feel selfish depriving an elderly woman or a mother holding two small children of a seat because my precious bag was using it. Cheap, cheap (not just the sound of the chicks!) 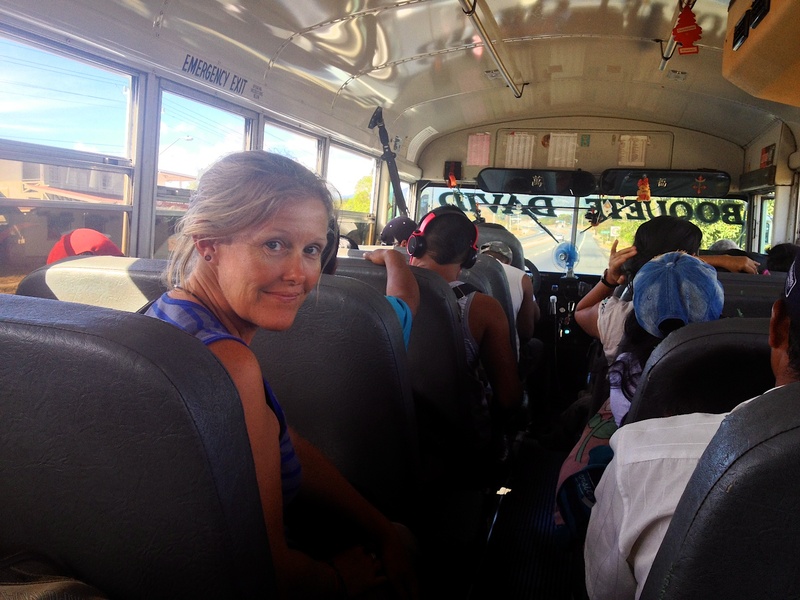 For those travelling on a budget in Central America, there is no doubt chicken bus is the way to go. 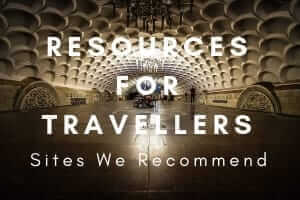 In countries where there is a more established tourist network and plenty of backpackers wanting to get from A to B (or rather from beach to beach) travel agents will offer shuttle bus services. And whilst a door-to-door minibus is undoubtedly both quicker and more comfortable, the relative cost means it’s definitely not the budget travellers option. Or it shouldn’t be. We were amazed by the number of backpackers supposedly on a tight budget taking mini-van transfers, favouring convenience over cost. At this point we have to hold our hands up and admit that we did take one shuttle bus in three months in the region (and yes, it was way more comfortable than a chicken bus) but generally we found it hard to justify the cost. Or to deny ourselves another chicken bus experience! To put the price into perspective, the cost of a tourist shuttle between Chichicastenango and Quetzaltenango, two towns in Guatemala’s highlands, is US$30 / £18 compared with the equivalent of US$3.20 / £1.90 when doing the same journey by chicken bus. That’s a big difference. So in summary, is travelling by chicken bus an essential experience whilst in Central America? Definitely. Is travelling by chicken bus a fun experience? By the time we reached Guatemala it’s fair to say we were fairly over the whole chicken bus experience. 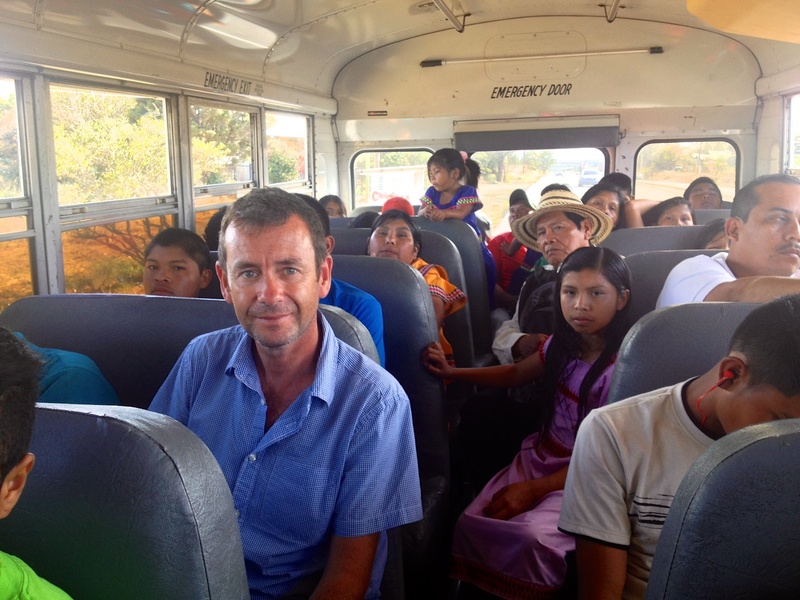 One bus we caught during our journey from Antigua to Chichicastenango was incredibly full. Despite being packed to bursting point, more and more people kept getting on. We couldn’t get seats and the luggage racks were also crammed so we had to keep our backpacks on. Being wedged in by fellow travellers didn’t stop us from being flung from one side of the bus to the other when we started heading up the mountain roads. The erratic breaking and accelerating drove us crazy and people trying to get on and off kept stamping on our feet. At one point Mark burst out “That’s it. I’m getting off!”. It was tempting but then I pointed out we still had to reach our destination and the next bus was unlikely to be any better. Yes, we’ve definitely earned our chicken bus stripes. All in the name of experience. A short video clip of chicken bus travel … I realise my movie-making and editing skills have a long way to go, but it’s our first YouTube video! Cool Kirsty! My fiancee rode on a few of them, but I saw none during my 2 month trip through CR. Thanks for sharing! Thanks. You’re right – they’re pretty much extinct in Costa Rica these days. Like the video. Don’t think I need the experience now. Nice! The craziest thing about Chicken buses (to me) was that no matter how crowded the bus is, there is always room for the vendors to get on and sell their food! On one occasion in El Salvador, the bus was so full the driver actually told people they couldn’t get on (this was a first), but then he stopped and picked up a guy selling nuts to let him squeeze through the aisles to make some money! 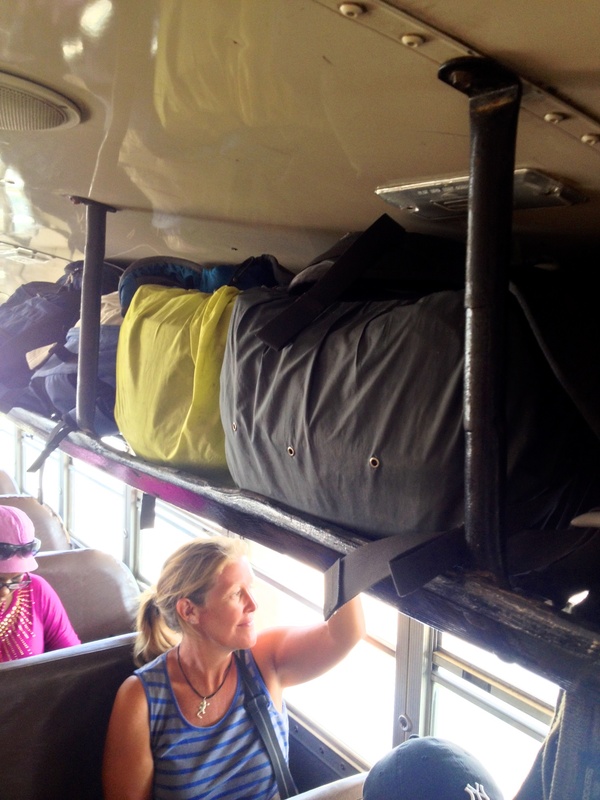 I took Chicken Buses the entire way from Guatemala to Panama, and though it wasn’t always comfy, it was definitely an experience! Thanks. Yes, you’re right about there always being room to squeeze one more vendor on board – often it felt like passengers and sellers were literally crawling over each other! Thank you. Nope, it’s DEFINITELY not National Express! Hehehe I have a similar post on my blog and yes I must say I don’t get people who travel to Central America and don’t jump on a chicken us. They surely miss out on a fun experience! I guess the buses are a good tourist attraction.The locals might wish for more modern and safer buses,but tourists find them quaint. Excellent video!!!!! 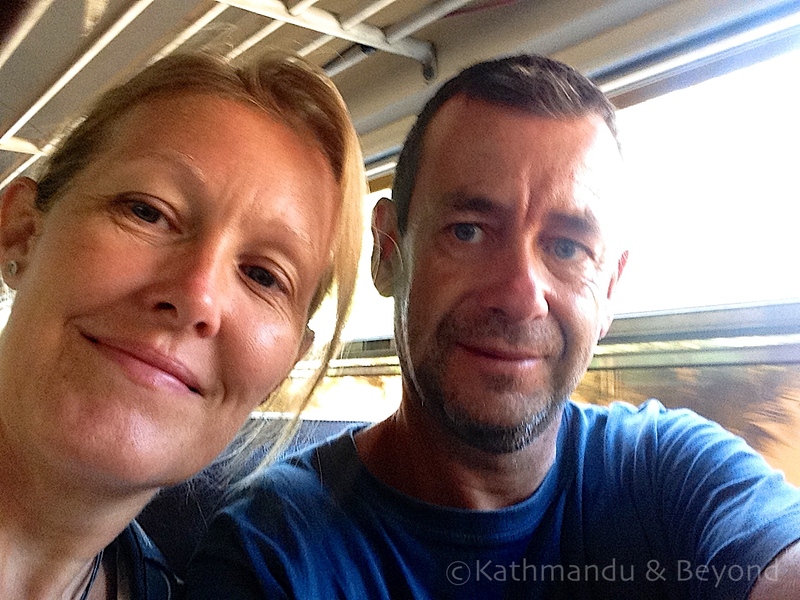 We just came back from chicken busing it from Costa Rica to Grenada, Nicaragua, and absolutely loved it. Your video depicted our experience perfectly!!!! We are planning another chicken bus throughout South America. We are planning on being gone for 2 months. Would love feed back on your experience in South America. I enjoyed the read. Great post! 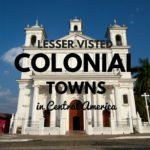 I’m travelling to Central America, and I’m wondering if the chicken buses are reliable in getting from place to place if I have reservations made? In other words, how were you certain that there would be a bus route to your next city? Lastly, did you find that you were able to travel long distances between cities on chicken buses? Sorry for the long questions. Any help is much appreciated!!! Glad you enjoyed it. Yes, no problem to include our link in your post, and I appreciate you asking. Thanks.